Menegola makes 50 Sam Menegola talks about his upcoming 50 game milestone, and those who helped him achieve it. When you see Sam Menegola play, you would automatically think that he has played 150 games of AFL. His footy smarts, skill and leadership far exceed the tally of 49 games he has to his name. Originally drafted in the 2010 rookie draft at pick 19 by Hawthorn, Menegola spent one year on the list before being delisted. He was picked up in the 2011 rookie draft by Fremantle at pick 44 and spent the next three seasons on the rookie list, again without playing a senior game. He spent the 2015 season in the WAFL playing for Subiaco. Despite missing the first half of the season due to an ankle injury, Menegola played from round 11 onwards and finished third in the Sandover Medal, averaging 27 disposals and kicking 21 goals on his way to a premiership. Those 14 games were all it took for the Cats recruiters to take notice and when he was selected with the 66th pick in the 2015 AFL draft, as they say, the rest is history. Playing in the first NAB Challenge game, Menegola injured his knee and missed the opening half of the season, he finally got his chance in the most unlikely of circumstances in round 18. Scott told him that he was debuting 20 minutes after he arrived at the ground, as a late change for ruckman Zac Smith. Three hours later and the 24-year-old had collected 26 disposals, five marks, five tackles and seven score involvements in the five-goal win over Adelaide. Menegola held his spot for the rest of the season and played the final eight games of the season, which included the two finals. Season 2017 rolled around and Menegola missed the opening two games of the season but came into the side in round three and played 22 games for the year. His best performance for the year came in round 23 against the Giants, where he collected 34 disposals and kicked three goals which saw him receive the three Brownlow votes. 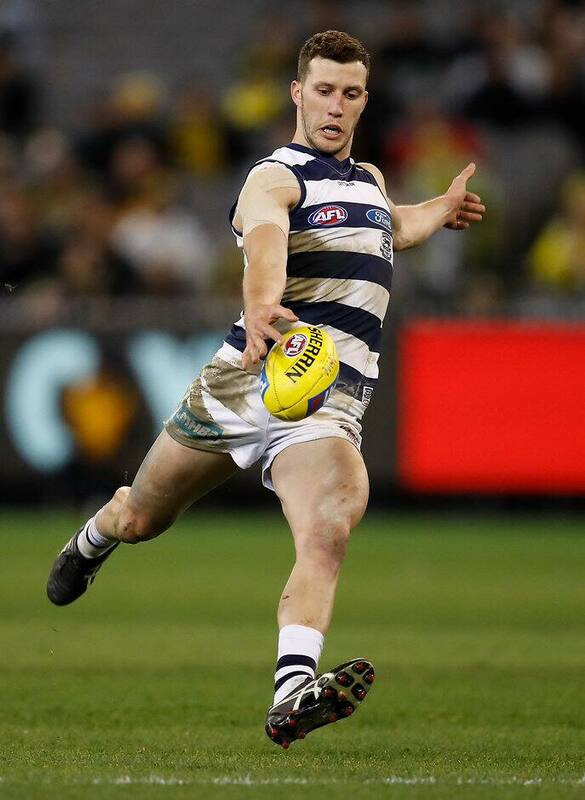 Now in his third season at Geelong, the 26-year-old is firmly entrenched in the Geelong midfield and is regularly looked upon to stand up in key moments in games. When he runs out on the MCG for game number 50, it will be a big milestone in the footballing journey of Sam Menegola.